The Book Of Oz slot is the result of a collaboration between Microgaming and Triple Edge Studios. This video slot has a somewhat mystical theme based loosely on the legendary magical world of Oz. It has an unusually green coloured design, but somehow it is pleasing to the eyes. 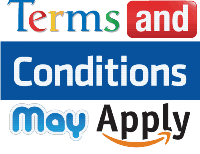 Symbols are well designed and detailed with pleasant sound as well. It comes with some interesting features that make it possible to generate wins of up to 5,000 times your bet. 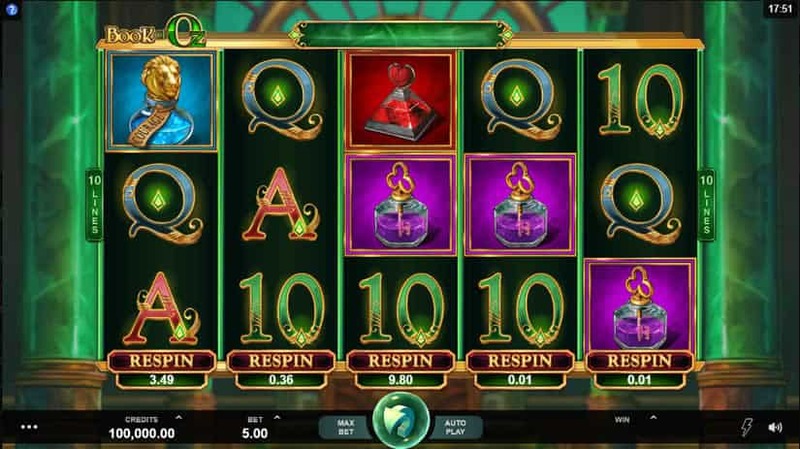 Book Of Oz is a five-reel, three-row slot that plays on ten fixed pay lines. There are nine regular symbols on the reels plus a tenth — the game logo — that serves as both wild and scatter symbols. There are four high-paying symbols on the reels made up of three potions and a picture of a gentleman who is presumably the great and mysterious Wizard. The remaining five low-paying symbols are made up of playing card values ten through ace. The highest possible regular win is awarded for matching five of the wizard and will get you back 500 times your bet. Setting up your bet on Book Of Oz isn’t too complicated. All bets, as we mentioned, play on all ten pay lines. The player can choose between one and ten coins to play on each line and the coin value can be set between £.01 and £.50. According to accepted mathematical calculations, that gives us a minimum overall wager of £.10 and a maximum of £25 per spin. The return to player rate on this slot is 96.31% in the regular game and a 96.5% RTP when taking advantage of the respin function (see below for more on the respin function). The free spins bonus feature can award up to a very generous 25 spins plus it can be re-triggered adding up to 25 more additional spins. The single reel respin feature can allow the player to create more wins at a discounted cost compared to starting a new game round at the full bet. The symbols on the reels lack imagination. With a mystical theme like this, there is a lot more room for some creativity. The playing card symbols dominate the reels, which really kills the idea of the theme. This slot is definitely a high volatility game. Large payouts and free spins will take some time to hit. Players need to be prepared to absorb some long streaks of spins with very little reward. There is a feeling that this video slot lacks some bonus features. Free spins are really the only true bonus feature in the game. Again, with a mystical theme such as this, a bit of imagination could have provided at least one more small bonus feature to liven up the game. As we mentioned above, the only true bonus feature on this slot machine is a free spins feature. If we count the wild/scatter symbols and the respin feature, these are two extra ways the player might boost their wins on the machine. The respin feature is very simple. At the end of any spin in the base game, you will be given the option to respin any one of the five reels for a price. A monetary amount will be displayed under each reel to show how much the respin will cost. You can respin the reels as many times as you like. You can respin the same reel multiple times or mix it up and respin different reels as long as you’re willing to pay the price for each spin. In some cases, the cost will be much less than your original bet. In others, it will be significantly higher. It’s important to watch the respin price and not click too quickly. The Book Of Oz logo acts as both a wild symbol and a scatter symbol. Landing three, four, or five of them anywhere on the reels will trigger 10, 12, or 25 free spins respectively. Scatter symbols can also pay up to 200 times your bet for five on the reels at one time. Free spins can also be retriggered. Three, four, or five scatter symbols appearing on the reels during free spins will add an additional 10, 12, or 25 spins. The Book of Oz slot offers a good return to player, but it seems to be a little boring. Microgaming usually comes with much more entertaining slot tittles than this one. You can find this slot machine at most European gambling sites, including UK casinos and fast paying online casinos around the world. If you are located in regions like USA or Australia, you won’t be able to play their games. But you still have good slot developers over there, like Betsoft.